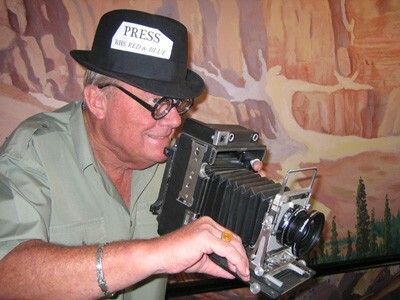 Not a scene I’d usually use on this website, but today, that’s the scene I worked for three hours at the Terry Lee Wells Discovery Museum, in the old Reno City Hall. It was a congregation of fire and safety officers and equipment, bomb squad trucks, a ladder truck (OK, an aerial) with the Jaws of Life for the kids to see, a SWAT team truck, black, natch, as all SWAT team trucks must be. And inside, guys from Reno Fire and Reno Police with cool stuff to give away for kids’ safety, and a K-9 dog show. A good afternoon. 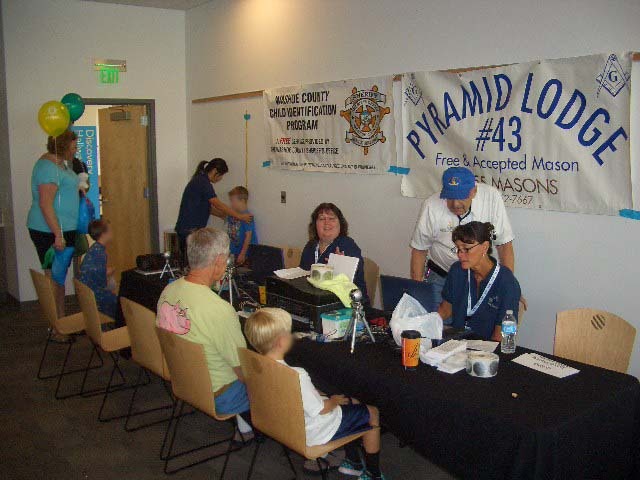 The Masons were invited to host a Child ID program, as Masonic lodges from the Atlantic seaboard to the broad Pacific’s shores do with great regularity, in conjunction with local law enforcement officials. It’s a good program. We photograph the kid, get his or her thumbprints, their height and weight, birthplace, age (birthdate), parents’ names, and give them a kit to gain the child’s DNA – pretty simple. It’s a little plastic envelope that the parent puts the child’s fingernail and toenail clippings, and a hair extracted with the root. That’s all that’s needed to determine DNA. Neither the Masons nor the sheriffs’ offices keep the records. The parent is given a sheet with a photograph of the child, thumbprints, and the information above, and the DNA envelope to collect the samples later at home. No records are retained after the afternoon’s over – the computer is wiped clean. It’s a good program. We do it, every couple weeks in Reno and Sparks, twice coming up at Lake Tahoe venues, Truckee and Carson Valley and Carson City locations, anywhere kids are likely to be gathering. It takes about five minutes, sometimes we have a five- or ten-minute backlog. And it’s free! But the parents leave with a thumbnail of their child, for their own use and a copy to grandma, summer camps, baby sitters, anywhere the child might be. In the picture above, Bill Sullivan in the yellow Best-in-the-West Rib Cookoff t-shirt, from Pyramid Lodge #43 has a child looking at the digital camera on the tripod, to send a photo to the computer (he’s just fingerprinted the kid electronically); while Rod Stahl from Reno Lodge #13 assists a volunteer from the Washoe County Health Department. In the distance, another volunteer measures a boy’s height and stands him on a scale. If you’ve a child or a grandchild and you’re out at some shindig where you see the Masons doing a Child ID program, take the five minutes and we’ll send you home with a package of information that may save a lost child’s life!